The 3rd annual EZ Bike Poker Ride is a fun and challenging 47 or flat, easy 24 mile bike ride through Pope and Johnson County’s scenic roads. This year we have added a 10 mile beginner ride & for those who would rather run, a 5 mile poker run (no age awards just best hand wins)!! Riders will be supplied with rest areas to re-fuel food and water and draw playing cards. The best hands at the end of each of the four events wins cash & merchandise!! 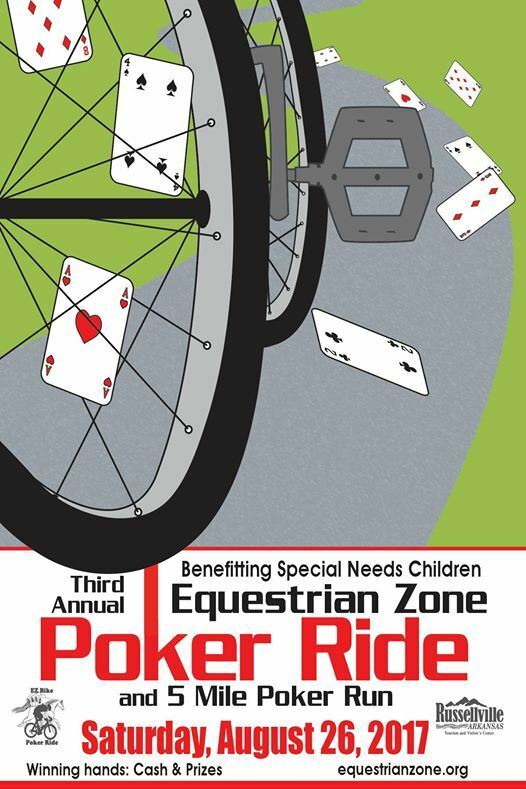 Come unite to support Equestrian Zone who provides equine therapy to children with disabilities.